Regarding the use of PetroCaribe funds, Marriott Port-au-Prince Hotel, NH Haiti El Rancho hotel and Best Western Premier Petion-Ville have denied statement ex president Michel Martelly made that he invested PetroCaribe money in these hotels. Question: Can the words of Sweet Micky performing on stage be considered official statements of former president Michel Martelly? On stage in one of events back in October 2017, the artist Sweet Micky once said: "The PetroCaribe money that I stole, I invested in Best Western, Marriott, El Rancho..."
During the violent gas price hike street protests of July 6 and 7, 2018, these hotels were attacked on the pretense that they were built with Petro Caribe money. 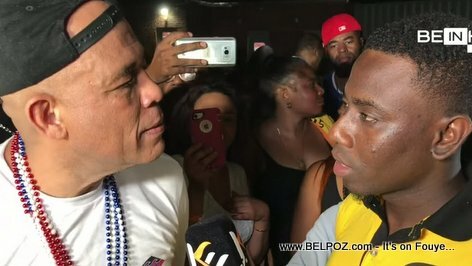 New statements from Maarten Boute, Réginald Boulos and Stanley Handal, managers of these hotels, have formally denied the former president's statement to make it very clear that, not only is PetroCaribe Money not invested in these hotels, the Martelly family are not shareholders in these companies. So, what does that mean, that they "have denied statement ex president Michel Martelly made...? It's their word against his; shouldn't they try to 'clear their names" by suing Martelly and have him pay for damages and defamation?